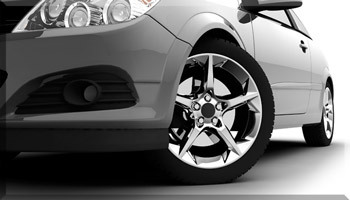 Tire maintenance is important to auto safety and is often overlooked. Tires keep you and your car or truck safely on the road and out of the ditches when the roads are wet or icy. Your vehicle's tires should be checked for proper inflation as an improperly inflated tire is the leading cause of tire failure. Underinflated tires will show heavier tread wear along the outside edges of the tires and can reduce fuel economy. An overinflated tire shows the opposite wear pattern where the center of the tire's tread appears the most worn down. Either inflation issue left unchecked can lead to expensive tire replacement. Our Spring Lake tire experts also check for uneven tread wear which can result from the automobile being out of alignment. A car or truck without alignment can lead to excessive and uneven tire wear, poor vehicle handling and lower fuel economy. During your scheduled maintenance with Tri City Auto Repair, we inspect your vehicle's tires for unusual wear patterns and proper tire inflation. As our customer, we want to keep you safe on the roads. Tires are one of the most important aspects of vehicle performance and safety. Let Tri City Auto Repair monitor your car or truck’s tire’s condition during a regularly scheduled maintenance or oil change appointment. Whether you’re in Spring Lake, Grand Haven, Ferrysburg or any other city on the lakeshore, we can take care of your tire problems. Contact us today for a free tire inspection or just call us if you have any questions!